Are you planning for a remodeling project in Redondo Beach, California? That means some big decisions, but also big results. You can count on My Space Remodeling for outstanding home improvements and commercial construction services. 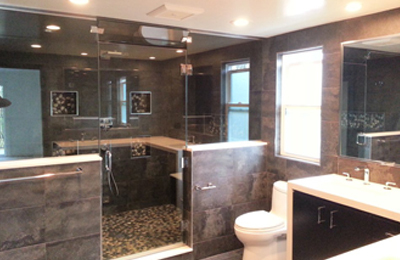 We’re known for our great bathroom remodeling, kitchen remodeling, and room addition services. We’re also experienced in outdoor living enhancements such as decks and gazebos, patio covers, and outdoor kitchens. We’re an insured and fully licensed general contractor for Redondo Beach, California with experts in design and construction for commercial as well as home remodeling services. A great client experience is more than just a goal with us — we guarantee satisfaction. You’ll receive only top-quality materials and workmanship, and our experienced project managers keep everything running smoothly. Our professional designers work closely with in-house specialists in exotic hardwood flooring, natural stone, decorative tile, kitchen cabinets, and more for exceptional results. With few homes on the Redondo Beach market, you’re most likely better staying put and remodeling or making a room addition. Limited supply has been driving up prices, although not fully back to their 2007 peak. So it looks like a healthy rebound without another bubble (http://www.caskeyandcaskey.com/blog/manhattan-beach/2016-real-estate-market-predictions/), though predictions are often wrong. Various sources (Realtor.com, Trulia.com, and Zillow.com) put the median home selling price at $915,000 to $945,000 (about 10% below listing prices), for $524 to $585 per square foot. You’re already in a great location. Redondo Beach. So why not add value to your property? Commercial Services Besides tenant improvements and updates, our commercial experience includes adding space for retail and display areas, conference rooms, offices, and even corporate apartments. 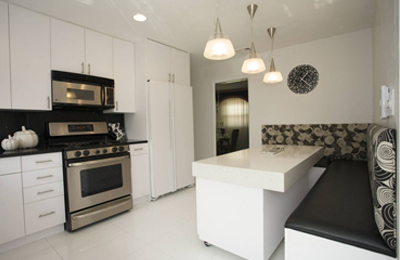 Popular Residential Expansions include home offices, playrooms, and master bedroom suites complete with luxury baths. “Mother-in-law suites” with a bedroom and bath, kitchenette, and living area are also a popular home remodeling choice. Second Story Room Additions let you build upwards to preserve backyards and lawns or cope with a smaller lot. But Redondo Beach does have a city-wide limit of 32 feet in height. Patio Enclosures create a great sun-room with loads natural light for lounging, exercise equipment, hobbies, or just about anything. Today’s designs are energy efficient, long lasting, and look great inside and out. Bathroom remodeling projects are also popular to create a unique place that’s an important part of your morning routine, as well as a relaxing retreat from the pressures of the day. Wherever possible that means a combination of natural light and the latest in lighting fixtures. 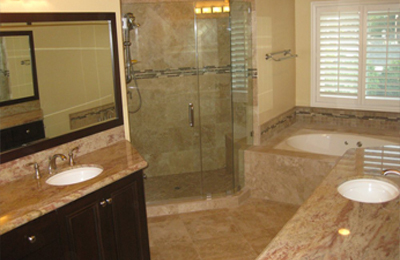 A complete bath remodel in Redondo Beach often includes a custom walk in shower and/or a whirlpool tub. Our crews are experienced and highly skilled in tile work for floors, walls, showers and tubs as well as marble and granite floors, counter-tops, and accents. We’re ready to create whatever style and look you’re after. 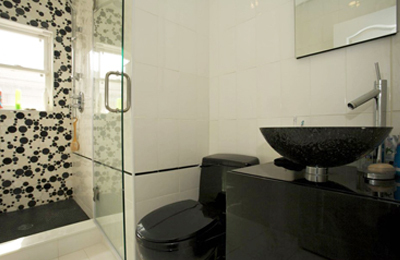 We’ll coordinate your choices in the latest in plumbing fixtures and materials with a perfect color scheme. 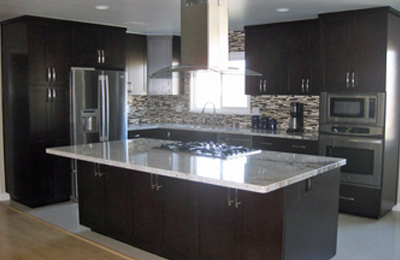 Kitchen remodeling is one of the most common home improvements in Redondo Beach. Kitchens start feeling outdated before just about any other place in the house, and a complete remodel transforms everything into a wonderful gathering spot you’ll love being in. We’ll work together to create a space that is both functional and gorgeous. With My Space every possibility is on the table — the latest in glass-door kitchen cabinets, stunning marble or granite counter tops, back splashes with the latest in vitreous tile, recessed lighting or designer fixtures, and more. Whether you’re looking for a style update, adding an island, or a completely new floor plan, we’re ready. Our company is also ready to upgrade your outdoor living. An outdoor kitchen complete with grill, refrigerator, sink, and storage is perfect for anyone into cooking and entertaining. 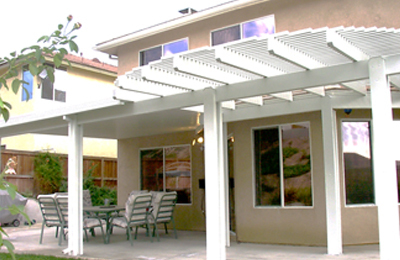 Top-quality patio covers create special locations, not to mention block out hot direct sunshine. A wood deck is likewise great for special gatherings as well as everyday use. How about a large gazebo for evening parties, or a small gazebo for a “secret” hideaway? Choosing a remodeling contractor carefully makes the difference between headaches and smooth sailing. The US News and World Report presents some great tips at http://money.usnews.com/money/personal-finance/articles/2014/11/14/18-tips-for-finding-a-reliable-home-contractor. Here are just a few. Choose a general contractor whenever several specialties such as plumbing, electrical, roofing, and flooring are needed. Think seriously about what you want, diving into details. Talk to about 3 contractors who have done work similar to what you’re looking for. Get written estimate, with enough details to confirm that they include everything you’re expecting. Talk to their references if at all possible. 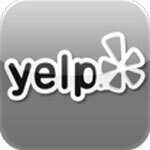 Read online reviews, but remember that people are several times more likely to leave a review if they’ve had a bad experience. When comparing prices and bids, be sure permits are included. The process can be quite complicated and technical, actually involving several permits covering several codes and countless requirements. But they exist to protect homeowners against bad construction practices. In Redondo Beach a permit application along with plan review and on-site inspections are specifically required for bathroom remodels and kitchen remodels (if changing more than fixtures and finishes), raised decks (above 30 inches), patio covers, additions, roofing, and stucco. You can learn more at http://www.redondo.org/depts/community_development/eng_build/building_services/applying_for_permits.asp.